Motorola, who were one the undisputed rulers in mobile market are now owned by the Google. But, time has seen some drastic positional changes from legacy of the mobile market being handed to the next generation mobile giants; Apple, Samsung and Sony to speak of. Motorola seemed to be a total out of sight in latest smart phone wars. But with the collaboration with Google, Motorola is introducing their latest innovation in the mobile world, Moto X. This smart phone is said to be a stage of real innovation in the hardware sections of the device. It seemed to be on the positive side when checked in the success of Google and Motorola down South in recent months. The first look and glimpse of the Moto X, a joint venture project of Googlerola is launched at the New York City. The immense popularity of the smart phone had resulted in several leaks of its specs and functions previously. Though, the result of previous leaks on the Droid announcement and the first handed smart phone seemed quite a similar one with almost all specs and features are quite parallel at mark. The smart phone, Moto X, when first felt at hand, one can sum up that it is device with a difference. The first and can be said the most important fact about the Moto X, is that it is the first smart phone that is built in by the Google after the merger with Motorola from its very basics. Thus, as the result says its simple with a complex built. The design of the smart phone is kept as an underdog, as its quite attractive. Some thought that the smart phone will have a pure signature of Google style. While others kept guessing that a NASA type hardware infrastructure set up will be created in Moto X. The smart phone from Googlerola comes in with strong and yet appealing designed by Motorola, which have bridged with the stock version android. For any gadget freak person this can be a toast of dream where you will get a wide flood gates to customise. The smart phone is coming in the recent weeks in 5 carriers of American cities. The smart phone, Moto X is priced at $199. In the other parts of the world it will release in some months later. The first thing that any one will get to experience is the size of the smart phone. The Moto X is unspeakably huge with 4.7 inches screen seemed to have injected in a smaller version. The smart phone from Motorola-Google is no way in the camp of lean and thin. The smart phone weighs in 10.4 mm. It has astoundingly all the weight pulls in the round edges of its design. The recommended part of the design is the back of the phone which seemed quite comfortably fitting in the hands, at times better than even HTC one. The back of the phone seemed to perform on how better a person uses customizing settings. The phone has soft ends as well as plastic ends. By the end of the year, Motorola will come up with wooden prototypes also. The smart phone has 10 mega pixels camera with flash enabled. It does not come around in with any SD card and swapping enabled batteries, these parts have no flexible option in customize sections either. It has 2 GB RAM and internal storage of 16 GB which can be extended of 32 GB. The experience of Stock in Moto x is really a dream. It is like a nexus device experience in Moto X. The two most important sections customization in the software are the touch less control and the active display. While the first one will make think in the Google way, and you will actually end in the right place without even turning on the smart phone to that settings. It just uses some popular word codes to make this process work. While the second one will flash in with all the needed notifications from mails to messages, call alerts and battery meter. Although the Motorola had made quite a few mobiles with Google since their joint collaboration with them. But most of the mobiles seemed to only get the minor parts to see the magic of the duo. 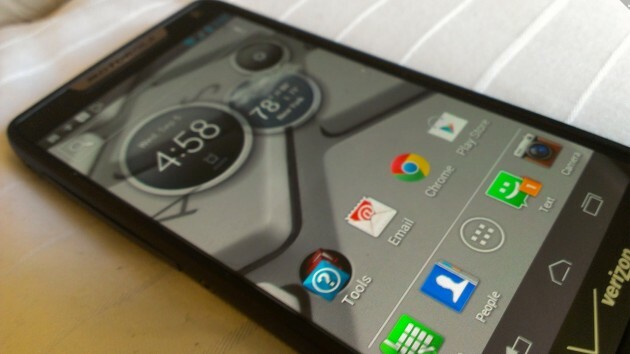 But Moto X is an exception, as the two giants have made it from scratch and a lot of new features are packed in it. It can be expected with the sales of this smart phone, Motorola will join the big leads once again.